"One hour to rewrite the past . . . "
So when her well-meaning brother brings in a consultant from a secretive organization called the Hourglass, Emerson's willing to try one last cure. But meeting Michael Weaver may not only change her future, it may change her past. Full of atmosphere, mystery, and romance, "Hourglass" merges the very best of the paranormal and science-fiction genres in a seductive, remarkable young adult debut. Myra McEntire knows the words to every R&B hit of the last decade, but since she lives in Nashville, the country music capital of America, her lyrical talents go sadly unappreciated. She's chosen, instead, to channel her "mad word skills" into creating stories infused with her love of music. 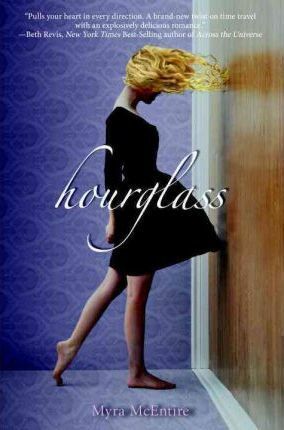 "Hourglass "is her first novel. You can visit her online at www.myramcentire.com.